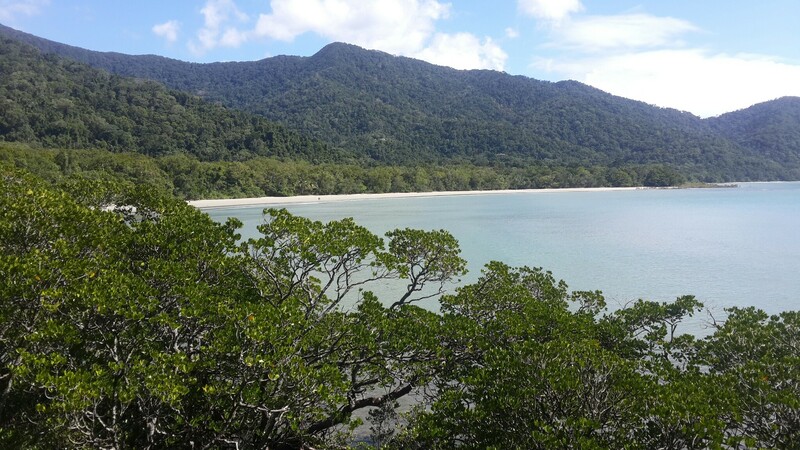 There are many tours you can do of the Daintree and they are easy to organise from Cairns or Port Douglas. However, I strongly recommend hiring a car for a few days and doing it yourself as it is very easy to self-drive. 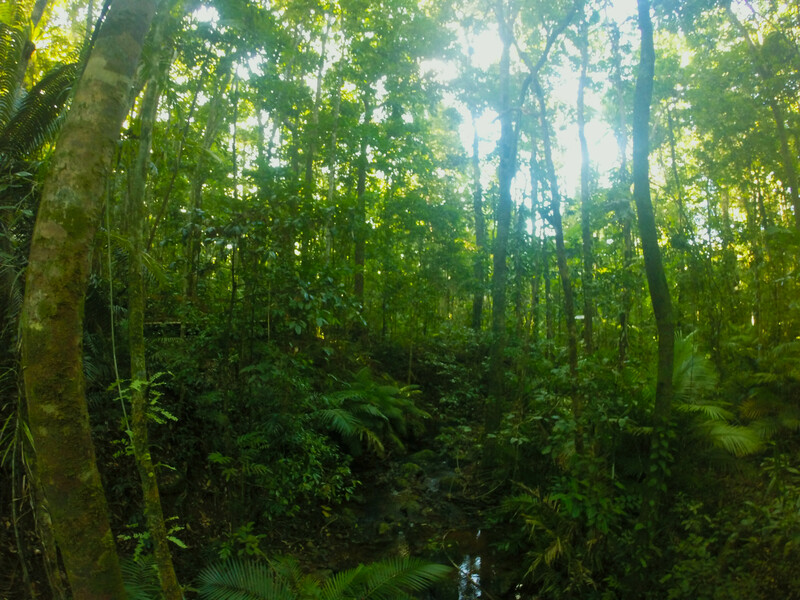 There are so many hidden creeks and rainforest walks that a tour might not take you to and with a car you have the freedom to stop wherever you please. You may be lucky to see some Cassowaries on the drive! The road through the Daintree Rainforest is beautiful as the scenery swaps between tall trees and dense forest to coastal and beach views. From Cairns it can take about 2hrs to reach the Daintree river. Then you cross the river by ferry with your car and begin the drive up through the forest for another hour or so. There is just one main road going up and down so you cannot get lost! The road is well signed and every now and then you will see a sign for a lookout, beach or a rainforest walk. If you want to stay in a more populated area, Port Douglas is the place to go. This is a beautiful beach town about 1 hour north of Cairns. I would recommend staying in Tropical Breeze caravan park as they are reasonably priced and only a 5 minute walk to the beach and main street. 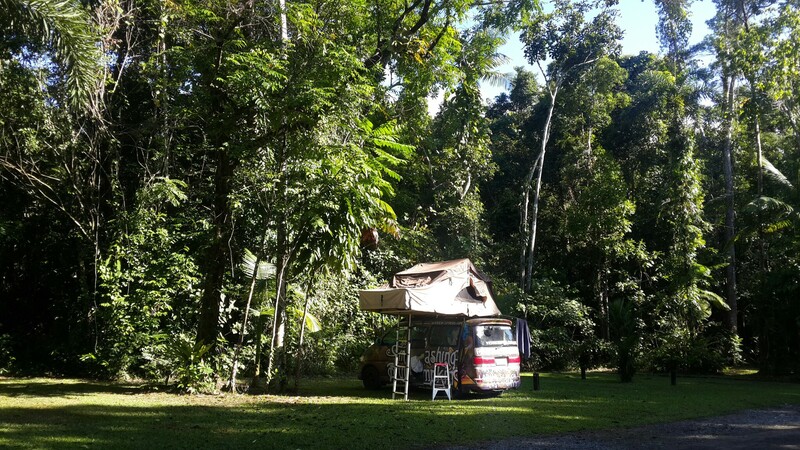 If you want to stay in a more remote area, Lync Haven Rainforest Retreat is a magnificent camp ground in the middle of the Daintree rainforest. This is one of the best places I’ve camped in as you are surrounded by forest and there is wildlife all around you! About 20 minutes out of Cairns you fill find Trinity beach, the start of the northern beaches. This is a small beach community about 30 minutes north of Cairns named after the beautiful palm trees that line the beach. There are some great cafes here to stop on your way up north. Port Douglas has a lovely beach, marina and main street with an abundance of cafes, shops and bars to keep you entertained. Whether you’re a first time snorkeler or a qualified scuba diver, I strongly recommend spending a day exploring the Great Barrier Reef. I did a day trip with Calypso and it was amazing. I have never seen such a diverse range of fish species! The visability was sensational at around 20-25m. They have smaller groups than the boat trips that go out from Cairns so you have more face time with the staff and you can dive in smaller groups. Calypso boats run a fantastic and smooth operation – as soon as you step on they offer you hot drinks, smiles and even sea sickness tablets. During the day you stop at 3 different reefs, all of which have beautiful marine life. They supply a delicious morning tea, buffet lunch and even an afternoon tea for the way home. Mosman Gorge is a beautiful and pristine rainforest situated on the south end of the Daintree. 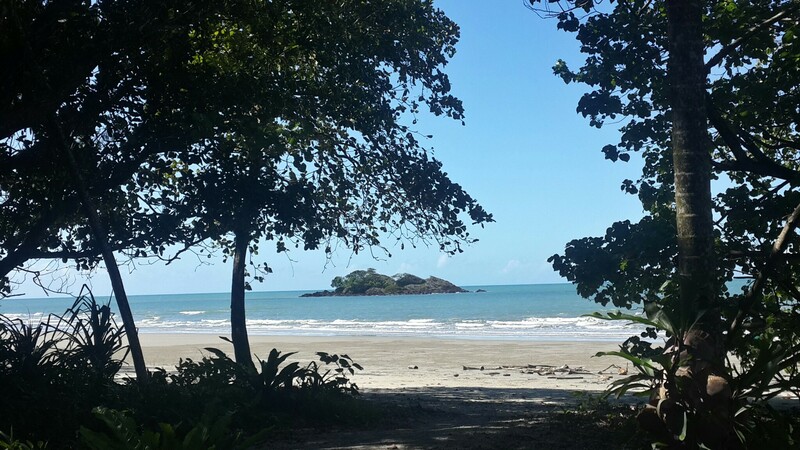 It contains the oldest surviving rainforest on earth. At the entrance you arrive at the Mosman Gorge Center which is a new indigenous eco tourism development. Entry into the gorge is $10 and you take a free shuttle bus fro the center into the rainforest. From here you can take several walks and swim in the gorge. 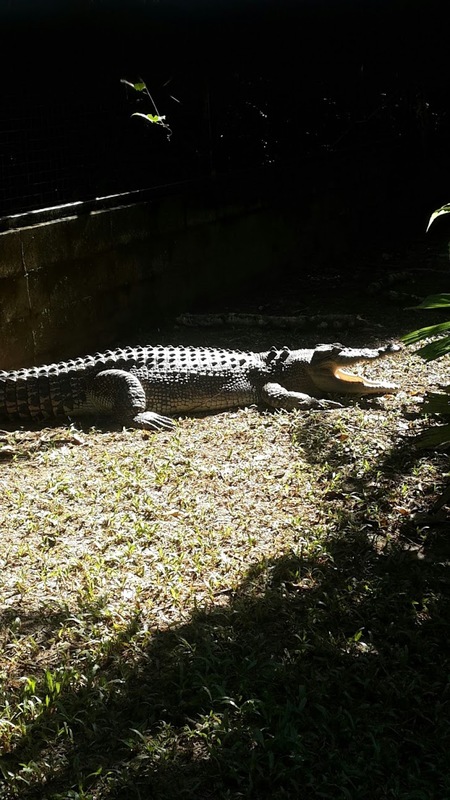 You can park your car by the ferry and take a river cruise down the Daintree, where you will get up close and personal with lots of crocodiles! Otherwise, you can take the ferry over to the other side to begin your daintree road trip. This is the first stop after the river and you can get out and marvel at the spectacular view over the forest. If you feel like trying a crocodile burger, make a stop at Mason’s Cafe just before Myall Beach on the left. This is a great local food joint that serves crocodile, kangaroo and all other types of burgers. It is always busy and also has a general store. 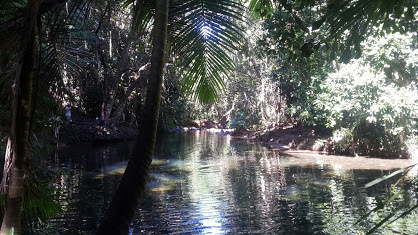 There are plenty of fresh water creeks nestled in the rainforest which are hidden behind the main road and they are a great place to stop. You can see turtles swimming around and it’s gorgeous! One in particular is Myall Creek, which is just at the back of Mason’s Cafe. Take a moment to stop and relax on beautiful Myall beach. However remember there are crocs in the water so don’t swim! This is the only place in the world where two World Heritage sites are side by side – the Great Barrier Reef and the Daintree Rainforest. This is the last stop before the road turns to dirt which is often where rental cars can’t continue (only 4WDs). At this point you can take a short walk onto the beach and up to a viewpoint. I would spend a couple of days in this area to be able to stop regularly at all the natural and beautiful sites. 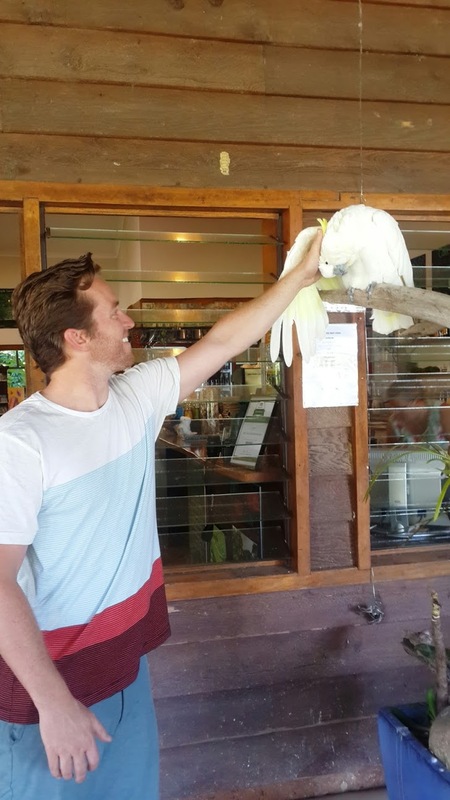 This entry was posted in Australia, East Coast, Queensland and tagged cape tribulation, Daintree Rainforest, diving, great barrier reef, port douglas, rainforest, road trip, scuba diving, snorkeling, wildlife. Bookmark the permalink.